A Royal Marine veteran is suing the Ministry of Defence for more than £1.3million after years on the front line left him almost deaf. Alastair Inglis, 39, blames the MoD for his chronic hearing loss and tinnitus, which forced him to quit the armed forces after 14 years in 2012. Mr Inglis, of Plymouth, says Army bosses did not do enough to prevent hearing damage from years of putting up with the deafening sound of weapons and tanks in training and in Afghanistan. His lawyer Ronald Walker QC told the High Court there are 1,700 other veterans considering similar legal action against he MoD and 200 already in the process. Mr Inglis’s case has huge implications for the UK armed forces, as military bosses are traditionally immune from legal action within war zones. 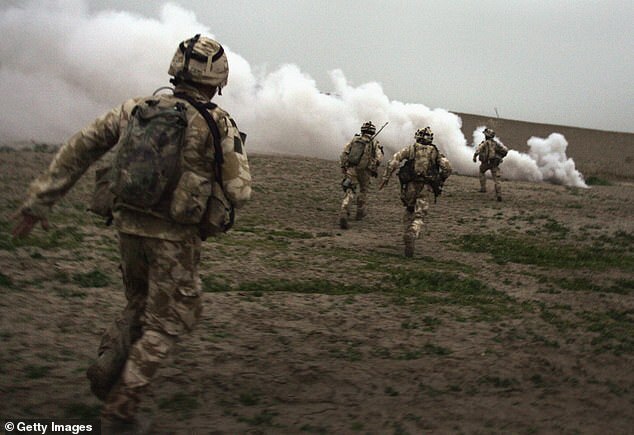 But lawyers for the affected veterans insist that more should have been done to safeguard hearing – even in the most extreme battlefield situations. Outside court, Mr Inglis’ solicitor Simon Ellis said: ‘In his situation, it was a combination of both training and combat exposure. ‘Essentially, we say he was not given the right protective equipment to mitigate against noise exposure.